TASK AT HAND: This week I’m thinking about “trusting your gut”. Although a cliché statement, there is real basis for its utility. 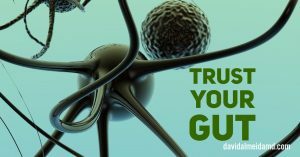 Our gut is the home of our enteric nervous system; a collection of over 100 million neurons that function as an interface with the outside world by carefully interacting with that which enters our alimentary tract. Humans are complex creatures. Of this, our gut is an incredibly complex component. It needs to be emphasized that such a nervous system goes beyond simply digesting food. The enteric nervous system, also known as the “second brain”, is constantly feeding you information about the outside world. If you are willing to listen, it can serve as a confidant for the interpretation of complex emotions and communications. One can take a deep dive on the enteric nervous system in a myriad of ways. From the digestion of food, to neurotransmitter functions, to the gut bacterial environment that is crucial for homeostasis, to gastrointestinal immunity functions, there are countless books on topics that are beyond the scope of the Sunday Surgical Scrub. What I want to focus on today is your gastrointestinal tract and enteric nervous system as a strategic interpreter for decision making. This may initially seem haphazard, but allow me to explain. Intuition, which I define as immediate comprehension without reasoning, is an integral part of decision analysis. There will be instances when, despite carefully organized analyses and sound reasoning, the correct decision may remain hidden. The preferred path, in these instances, requires you to remain connected to your second brain as a means of gaining further input. Learn to trust your gut and follow your intuition. We all know what this feels like. The “butterflies” of excitement, the shallow queasiness of apprehension, the disgust at the pit of our stomach from a wrong path taken. These are feelings we have known long before we could reason complex arguments. How do you hone the ability to focus on what your intuition and gut are trying to tell you? There are several techniques that one can use to centre on what our gut feelings are telling us such as meditation, sleep, journaling. However, one I really like to use is the act of distraction. At times, we can become entrenched in analyses such that we become susceptible to tunnel vision and bias. At these times, we can rationalize the wrong decision surprisingly easily. If you need to connect with your gut, distract yourself with some physical activity, music, or even a nap. This will serve to refresh the connection between your first and second brains with respect to the conflict in question. There is an essential, evolutionary-tuned survival need to trust our intuition. Trust and follow your gut! MEDICINE & MACULA: Many thanks to Dr. Jay Sridhar, creator and host of the fantastic podcast, Straight From The Cutter’s Mouth. 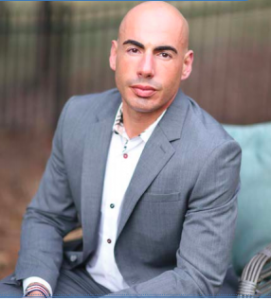 I was a recent guest on his show and had a wonderful time discussing retina, work-life balance, social media and my recent book Decision Diagnosis. 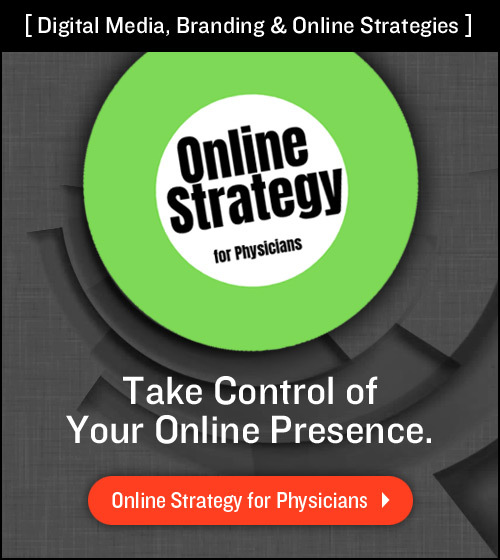 Check out Episode 44: More Social Media with Dr. David Almeida. You can also check out the Straight From The Cutter’s Mouth website, blog, other podcast episodes and more here. 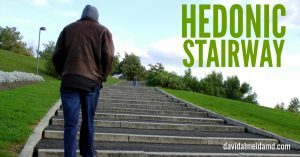 TASK AT HAND: This week I’m thinking about the hedonic treadmill theory, which I usually refer to as the hedonic stairway. Simply surmised, the idea is that the pursuit of happiness is akin to a person walking on a treadmill. You keep walking, but stay in the same place. More steps does not equate to more happiness. The “Hedonic Treadmill” was coined by Brickman and Campbell in their article “Hedonic Relativism and Planning the Good Society” (Brickman; Campbell, 1971, Hedonic relativism and planning the good society. New York: Academic Press. pp. 287–302. in M. H. Apley, ed., Adaptation Level Theory: A Symposium, New York: Academic Press). In this seminal paper, the authors describe the tendency of people to keep a stable baseline level of happiness despite positive or negative external events. From the work of Brickman and Campbell, they interviewed 22 lottery winners and 29 paraplegics with the aim of assessing change in happiness levels after the life changing events of winning the lottery or becoming paralyzed. The authors found that the group of lottery winners reported being similarly happy before and after the event, and expected to have a similar level of happiness in a couple of years. They found that the paraplegics reported having a higher level of happiness in the past, a lower level of happiness at the time of the study but – surprisingly – they also expected to have similar levels of happiness in a couple of years. What can we take away from these results? For the most part, individuals can expect to have the same baseline level of happiness irrespective of quite drastic, dramatic and different life events. The effect of a large monetary gain had no effect on baseline level of happiness for both the present and the future. In the paraplegic group, although there was an initial decrease in happiness, they too expected to maintain or return to the same baseline level of happiness for the future. How can we use this for our development and strategies? Awareness that, at least with respect to the pursuit of happiness, more steps you take on the hedonic stairway, will not grant you any additional happiness. Striving for that next promotion, a new car, or even great personal gain or loss, does not seem to alter your baseline level of happiness. Does this mean we should avoid these or strive for less? No, but it does call for awareness for why we pursue certain stations in life. More steps does not equal more happiness so be cognizant of your pace, journey and destination. MEDICINE & MACULA: For those who know me, you are aware of my squash enthusiasm (although obsession might be a better descriptor…). This week, the WHOOP Performance Optimization System featured me in their The Locker feature. Thanks very much to WHOOP and Mark Van Deusen for their interest! I don’t have any financial ties to the WHOOP system but believe, wholeheartedly, it is the best fitness tracker available for the serious sports enthusiast. Think about the last thing you did that made you feel really good? What was special about it? There is nothing wrong with this answer and I believe it’s important to celebrate accomplishment. However, now, go back to that event or action, and describe it without using some sort of productivity or accomplishment associated with it. You cannot use an outcome as a means of ascribing value to it. What am I getting at? We tend to value productivity over presence. We want to extract takeaways from actions and events like: “I had…”, “I did…”, “I got…”. Instead of the desire to immerse in moments and experiences, we are all too ready to define our life in basic terms. To continue with our example from above, maybe the significance of that last run was it allowed connection with nature or moments of mental clarity. Only if you are present, can you catch these wonderful experiences. 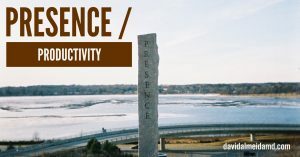 TASK AT HAND: This week I’m thinking about presence. One of my favorite quotes is from Walt Whitman: “We convince by our presence.” The ability to be present and engaged with the turbulent twists of life – rather than a mere passenger of happenstance – is not trivial! The title of this blog, the Sunday Surgical Scrub, is dedicated to a ceremonious time of clarity. From the blog introduction above, “Before each and every case, a surgeon scrubs and disinfects his hands. At the same time, he or she becomes solely focused on the task at hand – preparing to navigate a complex surgical path – and ready to confront any difficulties that lie ahead.” The scrub is a moment of reflection to remind the surgeon to be present in the moments that lie ahead. Unfortunately, too many times, we lose the connection to presence. A common example I see is simple conversations. You will notice that people will speak and, as soon as they stop speaking, they focus on what they will say next rather than listening. The other person does it as well. Is the point of the conversation to conduct some sort of business (productivity) or an opportunity for engagement (presence)? Look out for all too easy trap of productivity. Efficiency and productivity are cornerstones of success but make sure you are producing relevant outcomes. Pause and ask yourself what it is that you want out of an action or interaction. More often than not, you will find that presence in a simple conversation, a parenting action, a commitment to a cause has great worth and impact than a trivial takeaway. MEDICINE & MACULA: Thank you Tina and The Morning Blend for having me as a guest this past week! 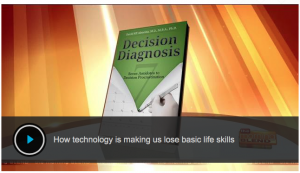 I had a wonderful time on the show and continue to be humbled and excited about all the interest in Decision Diagnosis. 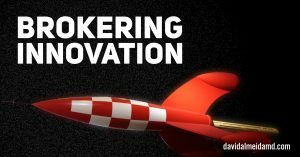 TASK AT HAND: This week I’m thinking about brokering innovation. This is a relatively new term but the practice is longstanding. The idea is to support growth via the unique mixing of ideas from different fields or backgrounds. The cross-pollination of thought – whether it be geographically-, culturally-, or specialty-based – is a fundamental strategy for creative thought. For example, you may work in a typical corporate culture but this does not mean you can’t incorporate strategies from a performer and team-building from sports culture. Similarly, approach you pain points with different vantage points. If all I have is a hammer, sooner or later, everything starts to look like a nail. Alternatively, if I see someone else using a different tool – even if it is for a much different task – maybe I can create a hybrid to address my need. Personally, I have long been interested in the process of brokering innovation and this is one of the reasons for my diverse background. I find that, when we can forcefully take ideas out of their nascent environments, and join them with other disparate ideas, then creativity flourishes. Sometimes, this creativity may be hypothetical and lack practical use. Sometimes, a sort of Frankenstein is born that is difficult to categorize. However, when it comes off right, there is potential for the genesis of truly transformational thought. The desire to work in a physical or figurative cubicle enforces constraints. Instead, much how the modern workplace has morphed into non-traditional settings and processes, how you approach challenges and conflicts must evolve. Staying fixated on strategies that exist in a vacuum risks failure in global applications. The call to action here is to facilitate the brokering of innovation! Break down silos! One of the simplest strategies is to work with as many individuals with different backgrounds as possible. Akin to a musician who jams with someone with a different style or from a different genre, join others in the pursuit of unique thought. Support the sharing of ideas between different groups. Look to build connections between heterogeneous cohorts. Look to guide cross-functional conversation, exchange and communication. Your horizons will expand, and the accompanying understanding will lead you to ask better questions and seek better answers. 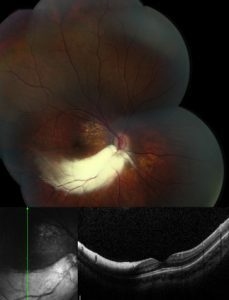 MEDICINE & MACULA: Check out one of our recent publications, Myelinated retinal nerve fibre, myopia, and amblyopia syndrome (Kunyong Xu & David RP Almeida) published in the Canadian Journal of Ophthalmology (April 2017). We describe the complex relationship among myelinated nerve fibre, myopia, and amblyopia. We present the case of a 6-year-old boy who presented with blurry vision of the right eye over 2 months. The visual prognosis in these cases is variable.